Move from batch and blast to 1:1 email marketing. Replace one-size-fits-all promotional emails with automated emails that feature targeted content and send based on customers taking certain actions or changes to products. 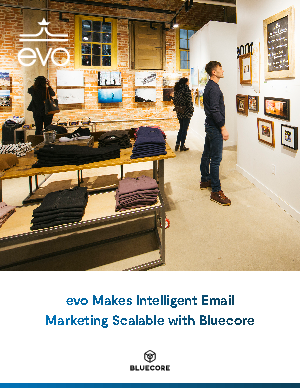 Scale the email program and results without scaling the team Introduce 15 high performing email campaigns and expand the email program reach to support a growing business without adding new headcount. Add new value for shoppers and the marketing team Launch a series of emails that proactively notify customers about changes to products with which they’ve engaged, including price and stock changes, while simultaneously adding a new opportunity to capture email addresses.